I’ll be honest, I did not expect Sony to be showing Sega Feat. 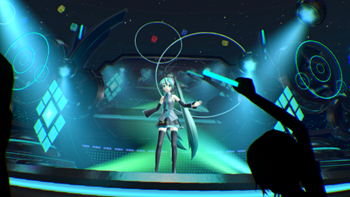 Hatsune Miku Project VR Tech Demo. But to my surprise, there it was and I had to experience it. I had no idea what I was getting myself into. So I entered virtual reality and found myself in a crowd of shadows holding glow sticks. I look down at my hand to see that I too was holding a glow stick, so naturally I start waving in the air in anticipation of Miku’s performance. Then she’s in front of me dancing and singing to one of her songs that I couldn’t really hear because the volume was a little low. I was smiling, waving my glow stick with the music when suddenly the glow stick began to vibrate and I was shooting stars at Miku until she noticed me and invited me on stage! So now I’m face to face with one of the most beloved virtual girls ever and I couldn’t be more excited. Miku looked amazing. She appeared to be almost life-like while I was strapped in to Morpheus. A few issues popped up with the controller (my glow stick) glitching out during the demo. It had no effect on Miku so it wasn’t a problem, but it reminded me of two things: this was a demo and, more importantly, this sadly wasn’t real. If you’ve always dreamed of seeing Miku in concert, this is a treat beyond all others. And even if you have, I’m sure you’ve never been on stage with her so I’m sure you could appreciate that. 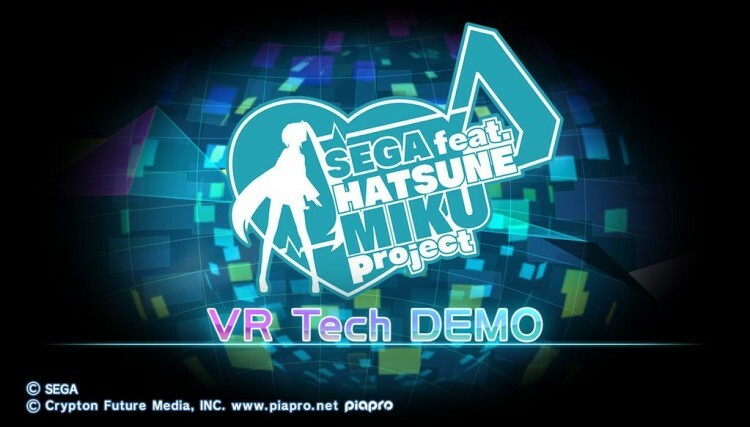 Though this is only a tech demo and might not see a release, here’s hoping that more fans get the opportunity to go into Miku’s virtual world and join her on stage.